Crabgrass is usually blamed for any persistent weeds or unwanted grass that grows in someone’s manicured lawn. True crabgrass grows during the warmest part of mid and late summer. If the grassy weed that you are worried about started growing in the early spring, it is probably not crabgrass. There are several types of weeds that look similar to crabgrass, and the treatments for them are also similar. If the problem you are experiencing is truly caused by crabgrass, there are some things you can do to help get rid of the prolific weed and rescue your lawn. Crabgrass is an opportunistic weed. During the hot and dry parts of the summer your lawn may begin to thin out if you don’t give it enough water. A little thinning is exactly the foothold that crabgrass needs to begin to flourish. If your lawn is particularly unhealthy, crabgrass can come in and take over in the span of one season. The best defense against a crabgrass infestation is to keep your yard healthy and thick. Water regularly and make sure that the soil is always moist. Don’t trim the grass too short, either. Let your grass grow until it is about two and a half inches long for best results. 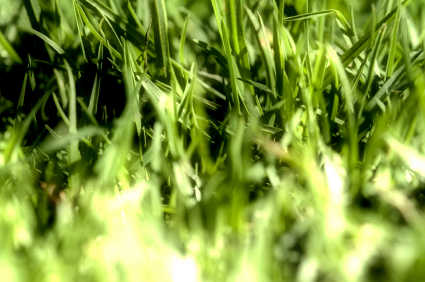 The healthier your lawn is, the fewer opportunities crabgrass will be able to work its way into your yard. Healthy soil also helps combat crabgrass. If you have dealt with crabgrass in the past, you know that it can come back year after year. Right after you remove a patch of crabgrass, lay down some mulch in that area. The crabgrass seeds that may be left behind in the soil will have a difficult time germinating because of the mulch. A light layer of mulch can be beneficial if you know that you have had crabgrass problems in the past, as well. Don’t use so much mulch that you cause your grass to become compacted, though. Compacted areas will not grow crabgrass, but they also will not be able to grow the desired grass for your lawn, either. Crabgrass may look like a form of grass, but it is really a common weed. The problem with using an herbicide to get rid of crabgrass is that the only effective chemicals are harmful to your grass as well as your crabgrass. Natural methods that work well on broad leaf weeds, like dandelions, are useless against crabgrass. There are really no good chemical methods that will rid you of crabgrass without harming your lawn. Is there an effective non-toxic pre-emergent to prevent crab grass? If there is, what is it and where can we get it? What kind of pre-emergent would be good for crabgrass? I also have an ivy growing through my lawn that I have not been able to get rid of. We keep spraying it with a weed kill that is mixed in a bottle with garden hose, but this past summer some of my lawn has died also. Any hep you can give, I would greatly appreciate it. Thanks! DOES USING MULCHING MOWER CAUSE CRABGRASS TO SPREAD ? So what is it that is popping up early spring and how do we kill that? Have brown spots on lawn everywhere. Can You tell me why. when is it to late to put down grabgrass preventer?